My English teacher always said I’d never pass my English exams, but I’ve often made it my mission in life to prove people wrong. After leaving school with both English Language and Literature under my belt it’s time to raise the bar and put pen to paper again. This one’s for you Mr Hewitt! 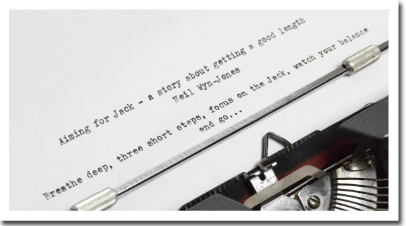 Aiming for Jack – a story about getting a good length. February 1985….a family of five are sat snugly on a three seater sofa like sardines squashed in a tin. The sofa is sat in a tiny terrace house, stood shoulder to shoulder with its neighbours and adorned with the grime of city immersed in industry. The terraces are tiered and regimented in lines of little foot soldiers overlooking a steely Sheffield morning as battle draws to a close in a very different setting in a very different place. The family of five are staring in silence and willing India to victory in the final day of the five test series against Pakistan with the tension building as the Pakistan bowler steams in towards the wicket and the Indian batsman sweating at the crease with wood in hand! India need a single run to clinch the series and have the last ball of the over to find out if it will be dreams or despair. Silence is broken by a shrill shriek from the back room of the tightly packed two up two down as an 11 year old boy jumps to his feet in joy. He is not watching in unison with his father and brothers, but instead is glued to a small black and white portable in isolation as a nail biting Embassy World Indoor Bowls Championship draws to a conclusion with the bias of Terry Sullivan’s bowl swinging in to nestle next to the jack at the Coatbridge Arena in Scotland! It is a world apart not just in geography, but also in sporting fantasy. Coatbridge has never seen such drama and a fire of ambition is ignited like a latent volcano erupting from a sleepy slumber. A dream is born in this bright eyed boy from the gritty streets of Sheffield. He does not know it, but this moment of euphoric excitement is to be the catalyst for a journey that will span continents, unite both generations and races and defy the establishment in a quest to sit at the top table of World Crown Green Bowling. First however he must deal with the wrath of a father who has been distracted from the disastrous defeat of his homeland as he glances back towards the TV to witness wickets splayed and flying bails. Neither of them realise the significance, but this is to be a defining moment in a relationship between father and son. June 1993….Jack rides into the car park of Bourton-on-the-Water British Legion atop a Honda Melody nifty fifty scooter. He has a swagger as he strides towards the green dressed crisply in white trousers and short sleeved shirt with stiffly starched collar, his mirrored aviator glasses frame the scene and reflect a sport which has become synonymous with lazy Saturdays and pensioners skipping down grassy squares across the country. Heads turn and there is an unease around the neatly manicured green at the presence of the stranger. Who is he, where is he from and what business does he have sauntering into Bourton-on-the-Water British Legion without invitation? This is where the next leg of a journey to the World Bowls Championships commences!! Lead – ‘Jack’, a 19 year old young maverick from India who moved to the UK at 6 years old. Being crowned World Bowls Champion is to be his destiny! Driven after being downtrodden by his father and determined to prove himself and win the recognition of Dad who is blind to his brilliance and defiant to his difference. Love interest – Felicity Simkins, a 54 year old lady of leisure married to three times World Champion Barry Wood, but woefully unhappy, she has a soft spot for younger exotic men who can swing their bowls with the best of them. In her twilight years as club secretary at Bourton-on-le-Water Crown Green Club she has learnt a thing or two about how to turn them and loves nothing more than banging the bowls and easing a stiff wood through the gully on a Saturday afternoon. Competitive Rival – Barry ‘Big Balls’ Wood, a gruff Yorkshireman who knows what he likes and likes what he knows. He is old school and a train of testosterone that has been steaming through crown greens across the nation en route to the platform of a World Champion. He is a self centred man who loves living a life centred around himself! ‘Coach’ – Also a young maverick in his time, his career cruelly cut off it in its prime by two knee replacements, but he had a fierce rivalry with ‘Biggie’ back in the day! He sees some of himself in young Jack and this is the chance to fulfil the destiny that was so cruelly taken away from him as he stood of the cusp of a Championship winning career. Revenge is a dish best served cold and the Coach has a medley of ice creams on a menu that he has been waiting ten years to dish up! So there we go, I don’t know where this stuff comes from, but it’s now out of my head and I have officially started writing my first book. 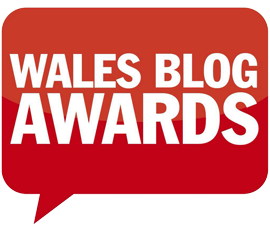 It can only be a matter of time until the Booker Prize adorns the imaginary mantle piece!